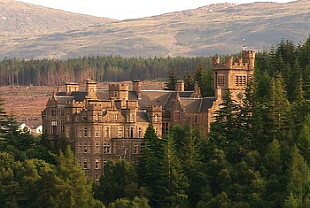 Carbisdale Castle Hostel looks set to close for good because of the high cost of repair bills. The hostel, located near Invershin and housed in a spectacular castle containing a fabulous hall of marble statues, has been closed for the last two years but was previously very popular with walking groups, families and even wedding parties wanting to explore Sutherland. Owners, the Scottish Youth Hostels Association (SYHA) said the hostel may not reopen because millions of pounds worth of investment was needed and that there were no plans to open it in the foreseeable future but that the SYHA had plans to open other new hostels elsewhere. Keith Legge, SYHA chief executive, told the BBC, “Carbisdale has been a great challenge for us financially in recent years.We have been very proud to have been running the castle since the last war. 1.5 million guests have stayed there and we are very proud of that record. It is understood that £2million has already been spend on repairs to the castle which is listed as a structure of regional importance. It is not known what the SYHA plans to do with the building if it does decide to close the hostel permanently. The castle was built between 1905 and 1917 by the Duchess of Sutherland. When the Duke died, the Duchess initially inherited a great part of his estates, his family contested the will and the Duchess was tried and briefly imprisoned for destroying documents. Eventually a financial settlement was reached and the Sutherland family agreed to fund the Duchess a new castle so long as it was outside the Sutherland boundary. She had Carbisdale built just inside Ross but overlooking Sutherland, the clocktower has clocks on only three sides, not even giving the time of day to Sutherland. Whilst the castle remains closed you can still explore the Carbisdale Castle circuit walk in the grounds and take a peek at the building from the outside.